If your bedroom has good light, take photos of your pets on the bed. Pets feel safe and relaxed on the bed - it's a great place to capture some very endearing and intimate moments. Some of my favorite photos of my pets are of them sleeping. I caught my cat, Peg, sleeping on the bed with one paw over the top of her head. My camera was tucked away in a camera bag in another room. I didn’t want to lose the moment, so I grabbed my cell phone and took this photo of Peg. As the saying goes - the best camera is the one you have with you, and often that will be your cell phone. Always seize the moment. You may never get a second chance. That doesn’t mean you can’t prepare or prep the space ahead of time. It really is all about the light. Avoid direct sunlight. Bright sunlight streaming through a window will be harsh and contrasty. Make sure the bed is not being illuminated by direct sunlight but rather diffused light. You can see and feel beautiful/diffused light in real time. It floats in and illuminates the space seamlessly. You can place sheers in front of a window to diffuse/soften the light. I have ivory colored sheers covering my bedroom window. The sheers turn the window into a giant soft box. Invest in some window sheers, work the light and be ready when your pet gives you something special. Can't imagine life without music or cats. They both make the heart sing. The most magnificent cats are looking for love and waiting to be adopted at your local shelter or rescue. If you live in the Phoenix metro area, these cats and many more cats are available for adoption with SAVING ONE LIFE and RESCUE and in Phoenix, AZ. They are remarkable in every way! The remarkable cats below are available for adoption with Saving One Life in Chandler, AZ. Saving One Life works works 24/7 and is dedicated to making the world a better place for cats. All of these cats and many more are looking for a home for the holiday and every day. Whispery sounds are a great way to get a cat's attention. 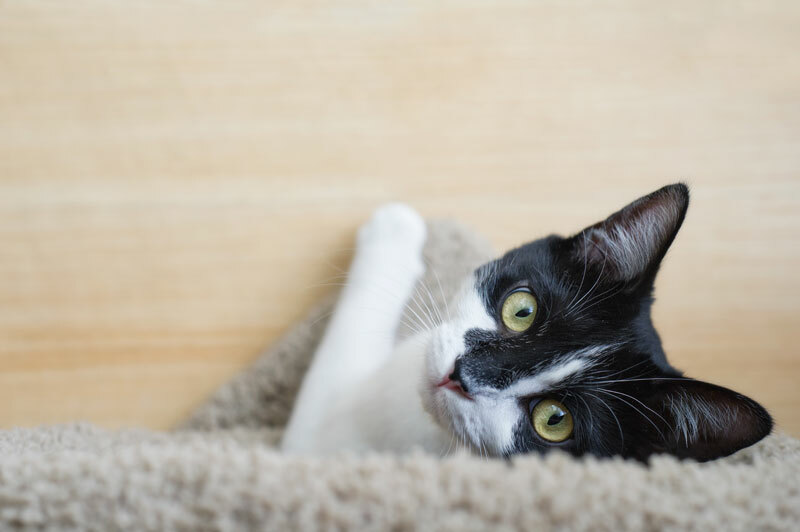 Put your cat's favorite bed or piece of cat furniture in a place that has good light, get creative with perspective and try shooting from a high angle. Make some whispery sounds, focus on the eyes and be ready to capture their curious expression when they look at up at you. Cats have the most amazing eyes and high angle perspectives are a wonderful way to showcase them. Don't forget about the background. It is an important element in portraits. Seek out clean backgrounds and colors that compliment your subject. Wood floors can make a beautiful backdrop for a cat portrait. There is no time like the present to adopt a cat. Adele loves cat perches, sunny spots near the window and lounging on comfortable laps. Imagine these green eyes greeting you every day. If you're ready to share you life with an endearing and affectionate cat, Adele is available for adoption with AZ RESCUE in Phoenix AZ. Ready to find the light and take your pet photography to the next level? Join my on-line course at the Bryan Peterson School of Photography. Sign up to receive updates about My Little Shop products, latest projects and how you can help animals. ©Jill Flynn 2019. All Rights Reserved.